Posted in COG News, Doctrine | Comments Off on Is polygamy is God’s way? LONDON — Unemployment in the eurozone has reached a new record high according to figures published Friday. Nearly 20 million people are out of work. According to the figures published Friday, the eurozone’s overall jobless rate is now at 12.2 percent. In the 12 months up until April, 1.6 million people lost their jobs. This rise in unemployment is not good news for the Eurozone nor actual the European Union. 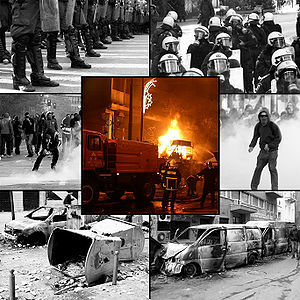 Various parts of Europe have had civil unrest in the past. Europe’s high unemployment very well may bring civil unrest, including rioting, to parts of Europe this summer. For quite some time, I have been warning that it is highly likely that riots and civil unrest likely involving a combination of Islamic and economic issues would happen. They will later propel a European leader to rise up. The final leader will be the one known as the Beast (Revelation 13:3-4) and final King of the North (Daniel 11:22-44) of Bible prophecy. World events are aligning with prophecy. As I have been writing for years, there will be ups and downs in Europe until the final European beast power rises up. And there will be ethnic and religious tension. The types of protests and riots in Europe will likely have ups and downs. And it is almost certain that because of protests and other forms of civil unrest, that the Europeans will ultimately be more willing to accept the type of militaristic leader that the Bible teaches will lead the final beast empire (Revelation 13:1-4). And this is despite the fact that to the outside world (as well as to Europeans themselves) the rise of the final Beast power will be partly strong and partly fragile. Many see Europe as fragile, and while they have a point, the Bible indicates that final human kingdom will rise up anyway (though the Kingdom of God will ultimately replace it). Anglo – America in Prophecy & the Lost Tribes of Israel Are the Americans, Canadians, British, Scottish, Welsh, Australians, Anglo-Southern Africans, and New Zealanders descendants of Joseph? Where are the lost ten-tribes of Israel? Is Sweden made up of one of those tribes? Who are the lost tribes of Israel? What will happen to Jerusalem and the Jews in Israel? Will God punish the U.S.A., Canada, United Kingdom, and other Anglo nations? Why might God allow them to be punished first? Posted in Prophecy | Comments Off on Eurozone unemployment rises: A prelude to more civil unrest? Russia claims missiles have not yet arrived in Syria, but will sell Syria MiG fighter jets. But this is not a sign of Ezekiel 39. Russian media is reporting that an arms industry source says Russia has not yet delivered anti-aircraft missiles to Syria and may not do so for several months. The source told the Russian news agency Interfax any delivery of the advanced S-300 air defense system missiles would be made no earlier than September. The United States and Germany warned Russia not to provide embattled President Bashar Al-Assad’s regime with an advanced air defense system that they believe could prolong Syria’s civil war. Russia is selling more than 10 fighter jets to the Syrian regime, MiG corporation CEO Sergei Korotkov said on Friday. A Syrian delegation was currently in the Russian capital to sort out the contract details, he said. While the USA and Europeans are warning the Russians about the missiles, directly or indirectly, they are arming the opposition to Assad. As I have mentioned in the past, the military situation in Syria will intensify. And the announcement of the sale of 10 more fighter jets to Syria by Russia is another step proving that. Does this mean that Ezekiel 38 and 39 are about to be fulfilled? Certain Protestant prophecy watchers seem to believe that this type of Russian involvement in the Middle East is about to set the stage for the fulfillment of Ezekiel 38 and 39. Furthermore, some also consider that Russia is the King of the North of Daniel 11. The above writing, however, simply does not agree with modern reality and what Ezekiel 38:1-13 teaches (quoted later in this post). Russia again will attack Israel. Now, this is a biblical problem tying this in with Daniel 11:44-45. 44 But news from the east and the north shall trouble him; therefore he shall go out with great fury to destroy and annihilate many (Daniel 11:44, NKJV). Notice that the King of the North is troubled by news from the east and the north. Thus, it would appear that Russia cannot be the King of the North as there are no nations that are north of Russia. But as Russia is north of Europe, Europe geographically better fits Daniel 11:44. Furthermore, as Israel is also not east nor north of Russia (it is south and slightly west), Ewiak Ryszard’s assertions about it and Daniel 11:44-45 are in error. 7 Now when the thousand years have expired, Satan will be released from his prison 8 and will go out to deceive the nations which are in the four corners of the earth, Gog and Magog, to gather them together to battle, whose number is as the sand of the sea. 9 They went up on the breadth of the earth and surrounded the camp of the saints and the beloved city. 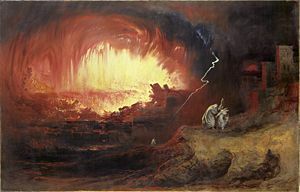 And fire came down from God out of heaven and devoured them (Revelation 20:7-9). 39:1 “And you, son of man, prophesy against Gog, and say, ‘Thus says the Lord GOD: “Behold, I am against you, O Gog, prince of Rosh, Meshech, and Tubal; 2 and I will turn you around and lead you on, bringing you up from the far north, and bring you against the mountains of Israel. 3 Then I will knock the bow out of your left hand, and cause the arrows to fall out of your right hand. 4 You shall fall upon the mountains of Israel, you and all your troops and the peoples who are with you; I will give you to birds of prey of every sort and to the beasts of the field to be devoured. 5 You shall fall on the open field; for I have spoken,” says the Lord GOD. 6 And I will send fire on Magog and on those who live in security in the coastlands. Then they shall know that I am the LORD (Ezekiel 39:1-6). Thus asserting that Ezekiel 38 and 39 refers to the King of the North is in error. The tie to Revelation 20, after the 1000 year millennium, makes much more sense. 45 And he shall plant the tents of his palace between the seas and the glorious holy mountain; yet he shall come to his end, and no one will help him (Daniel 11:45). The description in Daniel 11:45 is not the same as what is in Ezekiel 38 and 39. In Ezekiel 38 and 39 Gog/Magog is helped by “many” (Ezekiel 38:6,15) “peoples” (Ezekiel 39:4), which is not the case of the King of the North in Daniel 11:45. 3 O Gog, the prince of Rosh, Meshech, and Tubal…6 from the far north and all its troops–many people are with you (Ezekiel 38:3,6). 14 Therefore, son of man, prophesy and say to Gog…15…you will come from your place out of the far north… (Ezekiel 38:14-15). 1 O Gog, prince of Rosh, Meshech, and Tubal; 2 and I will turn you around and lead you on, bringing you up from the far north (Ezekiel 39:1-2). Babylon of Revelation and Jeremiah 50:9 is a European power. The King of the North in Daniel 11:22-45 is a European power (here is a link to a video titled: Can You Prove that the Beast to Come is European?). Even though certain Protestant writers/preachers claim that Ezekiel 38 will be fulfilled either now or prior to the time that the seven-year deal of Daniel 9:27 is fulfilled, this is not the correct time period. The tiny modern nation of Israel simply does not have enough gold or silver that Russia and its allies would want to attack it to take away “great plunder” (Ezekiel 38:13)Furthermore, Israel is not now a “land of unwalled villages” with “a peaceful people” who “dwell safely” (Ezekiel 38:10-11)–nor will it be until after Jesus’ Kingdom gets established on the earth. Russia is not the King of the North of Daniel 11 and Ezekiel 38 & 39 are not to be fulfilled for over one thousand years. That being said, while Russia is not about to be the final King of the North of Daniel 11, there will be problems in Syria. Damascus, Syria’s capital will be destroyed (Isaiah 17:1). And the Russian arms could be a factor as they could escalate tensions and embolden Syrian government confidence. Posted in Prophecy | Comments Off on Russia claims missiles have not yet arrived in Syria, but will sell Syria MiG fighter jets. But this is not a sign of Ezekiel 39. While the supposed intent of GMOs is to increase the food supply and provide crops that are resistant to pesticides, the reality is that the GMO thrust is essentially based upon lust for profits. Now, well some claim that GMO-crops are resistant to various pests, the reality is that about two years ago, Monsanto learned that its corn that was supposed to be resistant to a root pest was, in fact, susceptible to it (see Pestilence Issues and Genetically-Modified Corn). The scientists there hope to work around this, but the time will come that disasters and troubles will result in famines and I have long suspected that GMOs would be part of the reason. If the USA ever does also rely on GMO wheat as its main wheat and bread source, you can almost guarantee that will end in disaster for the USA. Intentionally eating GMOs, in my view, is not good. But as official policy, the US government does not want to let consumers know if they are buying GMO foods. Furthermore, Monsanto has been given legal protection should its GMO crops cause problems (H.R. 933 includes pro-GMO provision that some call ‘Monsanto Protection Act’). This is not good either. Household balance sheets were severely affected during the financial crisis and ensuing recession . According to the Federal Reserve’s triennial Survey of Consumer Finances (SCF)—the most comprehensive examination of household balance sheets—average household wealth declined 15 percent between 2007 and 2010, while median household wealth dropped 39 percent.. Although many subgroups experienced large declines, the Fed’s survey suggests that families that were younger, that had less than a college education and/or were members of a historically disadvantaged minority group (African-Americans or Hispanics of any race) suffered particularly large wealth losses (Figure 1) . 1 Even before the crisis, younger, less- educated and historically disadvantaged minority families were known to be among the most economically vulnerable groups because of the particular occupations and sectors in which they were overrepresented, such as low-wage service-sector jobs and construction . What was not well-known— but which we document here—is that families in these economically vulnerable groups often also had very risky balance sheets going into the crisis. Without going into all the details, the situation is much worse than it appears from the Federal Reserve report. Because the “recovery” has been financed by more direct and indirect US government debt than any in the history of humanity and the USA seems to feel it needs to continue in that direction (e.g. Fed’s Bernanke wants currency debasement program to continue). This means than a lot even what wealth is left, has actually been debased. Ultimately the US dollar will truly crash. Until then, it means that economic recoveries will be shaky and that many people will likely not handle the next downturn as well. Furthermore, various tax and other policies from Washington, D.C. are further discouraging the accumulation and preservation of wealth. That too, does not bode well for the economy of the USA. Unless the USA changes, it will be doomed. However, Jesus will return a few years after that and establish the Kingdom of God. Until then, work, pray, and try to best manage whatever household wealth you may have. Whether you are in the USA or not. Taxes What caused the descendants of Israel to pay taxes? Should Christians pay taxes? Here is a link to a YouTube video Should Christians Pay Taxes? Will the Anglo-Nations be Divided and Have People Taken as Slaves? Will the lands of the United States, United Kingdom, Canada, Australia, and New Zealand be divided? What about Jerusalem? What does Bible prophecy teach? Are there non-biblical prophecies that support this idea? Who will divide those lands? Who will end up with the lands and the people? There is also a YouTube video titled Will the USA and other Anglo-nations be Divided and Their People Made Slaves? The shipment of the missiles, if confirmed, comes just days after the European Union lifted an arms embargo on Syria, paving way for individual countries of the 27-member bloc to send weapons to rebels fighting to topple Assad’s regime. Lebanese Hezbollah media is quoting Syrian President Bashar al-Assad as saying the first shipment of an advanced Russian air defense system has been delivered to his country.Assad’s comments were released Thursday by Al-Manar, a Lebanese media outlet owned by the pro-Assad militant group Hezbollah.There was no independent verification or Russian comment. But if confirmed, the delivery of the sophisticated S-300 anti-aircraft missiles would represent a major upgrade to Syria’s air defenses.Syria’s ally Russia has promised to go ahead with the long-delayed sale of the missiles, saying it would help prevent intervention by foreign forces.There was no public comment from Israel, where defense chief Moshe Yaalon suggested this week that Israel may take out the S-300s if they are delivered.Israel is concerned its airspace could be within the range of the surface-to-air missiles. It could also limit its ability to carry out airstrikes in Syria to stop weapons shipments bound for Hezbollah. Israel allegedly has plans to eliminate Syria if these Russian supplied missiles are used (see Israel allegedly tells Russia it will bring down the Syrian Assad Regime if attacked). It has also indicated that it may simply decide to eliminate those missiles before they could be used. Some in also Europe have concerns about what this means for the EU (see EU official seemingly blaming UK for making ‘peace organisation’ EU a warring organization because of Syria). ISTANBUL: Syria’s main opposition group said Thursday it will not take part in proposed US-Russia peace talks while key allies of President Bashar al-Assad’s regime are waging war alongside government forces. Government troops and Hezbollah fighters have been battling for more than a week to retake Qusayr from rebel hands. Syria’s opposition is demanding a deadline for Bashar al-Assad to leave power if it is to attend proposed international peace talks. Meeting in Istanbul Wednesday, opposition leaders say they want “binding international guarantees,” including what they call the “removal of the head of the regime” and its military command. Syrian Foreign Minister Walid al-Mollem says the Assad government is willing to attend the talks with no preconditions. The military situation in Syria will intensify. An Islamic confederation that will include the land of Syria is coming (Daniel 11:40-43; Ezekiel 30:1-8; Psalm 83:4-8) is coming. Russian missiles and possible peace talks will not change that. 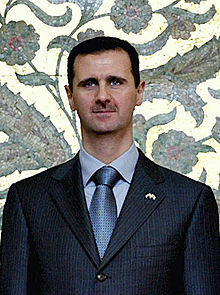 Posted in Prophecy | Comments Off on Hezbollah: Assad claims Russian missiles have arrived; SNC: No peace talks for now. China’s state news agency says the Chinese army will conduct an exercise next month to test new types of combat forces, including units using digital technology. The announcement of the digitalized combat forces comes as U.S. President Barack Obama is expected to talk about cybersecurity next week with Chinese President Xi Jinping, amid fresh reports of cyber attacks on critical American defense systems. U.S. officials have not commented on the latest reports, but White House spokesman Jay Carney says he is certain cybersecurity will be discussed when President Obama meets with President Xi in California. Carney calls the issue a “key concern” for the administration that U.S. officials raise at every level in meetings with Chinese counterparts. Monday, The Washington Post newspaper published parts of a confidential defense report accusing Chinese cyberspies of compromising some of the most sensitive and advanced U.S. weapons systems. Classified sections of the report outlined more than two-dozen breaches of missile defense and other weapons systems by Chinese hackers, including many that had not been previously reported. China is believed to be engaging in multiple forms of “cyber warfare” and now it basically admits it is preparing for a future, at least partially, cyberwar. Of course, as the logo at the beginning of this post shows, the USA has its own plans (not all of which I believe are purely defensive). While major war between the USA and China is not specifically prophesied in the Bible (though China may, at least somewhat, support the final King of the North Beast power, for a time against the USA and its interests–see the video Is China THE Threat to the United States of America? ), this internet tension is showing the USA that China truly is not interested in being a friend (of course the USA has taken steps to show that it is also not China’s friend). Actually, I believe that part of the reason that the USA will be able to be taken over by a European power is that it will conclude that China and others are a much bigger risk than Europe, and hence will shift more and more of its defense strategy towards dealing with China and others. Instead of considering Europe a threat, the USA will embrace it and rely on it for part of its military defense. The USA has already taken several steps along this line and this planned cyber-drill by China will only tend to increase the USA’s focus to China and away from Europe. Overlooking Europe and the real threat from there (Isaiah 10:5-11) will be something that the militarily strong and wealthy USA will later regret (Daniel 11:39; 8:24). The Continuing Church of God does not consider that the Shroud of Turin is holy nor the burial clothe of Jesus. Most know very little about early church history–and what many think they know is clouded by misinformation and misconceptions. And the Shroud of Turin does not provide helpful information into original Christianity, only for those who seem to prefer improper traditions of men over what the Bible teaches. ‘Cross-dressing’ children, homosexual education, BSA: Assaults on the morality of children. Last Friday’s cross-dressing day at a Milwaukee elementary school proved contentious. The school-sponsored event was one of the theme days during school spirit week at Tippecanoe School for the Arts and Humanities. While the themes for each of the other days were sufficiently milquetoast, Gender Bender Day — as it was originally named — raised a few parental eyebrows. Members of the school’s student council chose the transvestite theme, reports WITI-TV. The idea was straightforward: boys were encouraged to dress like girls and girls were encouraged to dress like boys. While cross-dressing in schools may not be ‘illegal,’ it certainly violates biblical standards of morality. While encouraging various males to be effeminate seems the desire of at least part of the entertainment industry, did you know that there is now to be a children’s program that features a ‘super-hero’ who transforms himself into a girl? So, the world’s media is trying to reorient and confuse gender roles for children as young as age two. In addition, once they get into school, across the USA there are school programs teaching the acceptance of homosexuality. It is a requirement in some states. California (which is the largest USA state in terms of population) now requires that contributions by the LGBT (lesbian, gay, bisexual, and transgender) community to history be taught, and keeps adding homosexual themed books to its recommended reading list for Kindergarten to 12th grade students (http://www.nydailynews.com/blogs/pageviews/2013/03/california-to-introduce-more-gay-themed-books-into-school-curriculum-unsurprisingl). It is true that some are objecting to this trend. Various churches, for example, are pulling away from the Boy Scouts of America (BSA) because of its latest compromise with the homosexual agenda according to a report I saw from ABC news today. The BSA, a group that claims that it wants its scouts “morally straight,” last week decided to allow openly homosexual boy scouts (see BSA makes the move to allow homosexual scouts). Sadly the majority in the USA and other Anglo-dominated lands seem inclined to listen to (or at least tolerate) those who are strongly advocating wrong changes in moral directions. The sexual immoral agenda will end in destruction. Cross-dressing, BSA acceptance of open homosexuals, indoctrination classes on homosexuality, certain worldly entertainment, etc. turn children and adults away from biblical morality. 4 Remember the law of Moses my servant, which I commanded him in Horeb for all Israel, the precepts, and judgments. 5 Behold I will send you Elias the prophet, before the coming of the great and dreadful day of the Lord. 6 And he shall turn the heart of the fathers to the children, and the heart of the children to their fathers: lest I come, and strike the earth with anathema. (Malachi 4:4-6, Douay-Rheims). While the trend in society is to go the wrong way, children need to be taught the right way. This way they can turn their hearts to their parents and not towards an immoral and destructive direction. The Great Tribulation and Day of the Lord is coming. And while some diligent Christians (the few Philadelphians) will be protected from it (Revelation 3:10). Most people will be alive when it begins, including Christians (Revelation 12:17) will have to experience it (Revelation 3:10; Matthew 24:21). The time to teach YOUR children diligently is now. Cross-dressing and other assaults against your children. What should you do? Is there an agenda to turn your children and/or grandchildren away from biblical morality and towards practices promoted by homosexuals? What does the Bible teach about cross-dressing? What should parents do? If there is an agenda, what has been going on? Posted in Doctrine | Comments Off on ‘Cross-dressing’ children, homosexual education, BSA: Assaults on the morality of children. The US is pushing Europe to more involvement in the Middle East. The talks saw a clash between British foreign minister William Hague and Austria’s Michael Spindelegger. France supported the UK, but took a back seat when its minister left early for another meeting in Paris. Spindelegger branded the outcome a failure. He said most ministers had wanted to keep the arms ban for now but to review it in August. He also said the EU is a “peace organisation,” but if countries start to take sides in civil wars it will “fundamentally” alter the nature of EU foreign policy. Notice that Austria’s Michael Spindelegger considers that the European Union is a “peace organisation” and that what the UK has helped impose will ‘fundamentally’ change the EU. While the EU does not think it is a warring organization (cf. Isaiah 10:7), the Bible shows that it will end up as one (Isaiah 10:5-11). It will also takeover the UK, and perhaps will partially blame the UK for that as well. Calling UK tactics annoying and deplorable also shows a low level of respect for Britain. As far as the tiny nation of Israel goes, at some point in time it will feel so much pressure that it will accept a claimed ‘peace deal’ (Daniel 9:27) in involving Europe (Daniel 9:26) that will ultimately result in it getting taken over (Daniel 11:31,39-43). But that time is still for the future (for information on the ‘peace deal, etc. see When Will the Great Tribulation Begin? 2013, 2014, or 2015?). Europe, despite its hesitations, is starting to become a bit more militaristic. The Bible shows that it will become a major military power in the future (Revelation 13:4, Daniel 11:39-43). Will the USA and other Anglo-nations be Divided and Their People Made Slaves? Does the Bible tell of a time to come when the USA and the other Anglo-dominated nations will be taken over militarily? Will their lands be divided? Will their people be made slaves? Who will the lands be divided with? Where will the people end up? Will this coming captivity end? What does prophecy teach? You are currently browsing the Church of God News weblog archives for May, 2013.